PALERMO, SICILY - Inside a midnight-blue BMW, a Sicilian entrepreneur delivered his pitch to the accused Mafia boss. A new business was blowing into Italy that could spin wind and sunlight into gold, ensuring the future of the Earth as well as the Cosa Nostra: renewable energy. And for quite a while, Italian prosecutors say, they did. In an unfolding plot that is part “The Sopranos,” part “An Inconvenient Truth,” authorities swept across Sicily last month in the latest wave of sting operations revealing years of deep infiltration into the renewable energy sector by Italy’s rapidly modernizing crime families. The still-emerging links of the Mafia to the once-booming wind and solar sector there are raising fresh questions about the use of government subsidies to fuel a shift toward cleaner energies, with critics claiming that huge state incentives have created excessive profits for companies and a market bubble ripe for fraud. China-based Suntech, the world’s largest solar panel maker, last month said it would need to restate more than two years of financial results because of allegedly fake capital put up to finance new plants in Italy. The discoveries here also follow so-called “eco-corruption” cases in Spain, where a number of companies stand accused of illegally tapping state aid. Because it receives more sun and wind than any other part of Italy, Sicily became one of Europe’s most obvious hotbeds for renewable energies over the past decade. As the Italian government began offering billions of euros annually in subsidies for wind and solar development, the potential profitability of such projects also soared — a fact that did not go unnoticed by Sicily’s infamous crime families. Roughly a third of the island’s 30 wind farms — along with several solar power plants — have been seized by authorities. Officials have frozen more than $2 billion in assets and arrested a dozen alleged crime bosses; corrupt local councilors and Mafia-linked entrepreneurs. Italian prosecutors are now investigating suspected Mafia involvement in renewable energy projects from Sardinia to Apulia. Revelations of malfeasance in one of Italy’s most promising new sectors is underscoring a recent push by one of the world’s largest criminal organizations into a host of legitimate businesses, from chain supermarkets to shopping malls. But perhaps most importantly, the Mafia taint on an industry seen as a rare engine for new jobs in a country still mired in the region’s debt crisis is foreshadowing a massive challenge ahead for Europe. To ensure the future of the 17-nation eurozone, economists argue that the lagging south must begin to rapidly modernize, mirroring the economic successes of northern neighbors like Germany. Yet the single biggest barrier may be overcoming the investment-inhibiting, market-distorting power of corruption. Foreign direct investment has markedly lagged in Italy and Greece, two countries at the heart of the debt crisis that are also ranked by Transparency International as the eurozone’s most corrupt economies. Italy, for instance, has received $87 billion in foreign investment from 2007 through mid-2012, compared to $183 billion in the Netherlands, $289 billion in France and $502 billion in Britain, according to the Paris-based Organization for Economic Co-operation and Development. Italian prosecutors are confronting a surge in the Mafia’s illicit activities, with organized crime syndicates, particularly those based on the mainland, developing closer international links to Latin America’s drug cartels and seen as responsible for vast waste, corruption and inefficiencies in state projects across the southern half of the country. In October, the entire city council in Reggio Calabria, in the south, was suspended due to its alleged links to the ‘Ndrangheta crime family. In Sicily, the depth of the Mafia’s involvement has been a gradually emerging story, with a first wave of arrests in 2010. After acquiring new evidence through a network of informants and wiretaps, authorities staged a second round of arrests last month. Those newly charged included Angelo, the construction industry businessman who, officials say, was caught by a wiretap in 2007 talking with Funari about a partnership in the renewables sector. Jailed pending trial, Angelo has denied the corruption charges against him. Arrested in 2010, Funari is appealing his conviction on mafia charges. According to court documents, wiretap transcripts and interviews with officials familiar with the investigations, Mafia involvement in the renewables sector followed a familiar path. Crime families and businessmen would target land suitable for wind or solar plants, sometimes pressuring landowners to sell or offer long-term leases. Corrupt local officials were enlisted to speed through application processes that could otherwise take three to six years. After receiving approval, they would approach foreign investors eager to tap the Italian government’s green-subsidies program. Some foreign investors involved in the projects apparently did not know the extent of the illegality they were stepping into. “But others just didn’t want to know,” said one official familiar with the case who spoke on the condition of anonymity because he was not authorized to speak to the press. Meanwhile, the Mafia’s involvement inhibited legitimate renewable business investment in Sicily. The experience of Salvatore Moncada — a local entrepreneur who sought to legally build clean energy projects in Sicily — became a cautionary tale for potential investors. 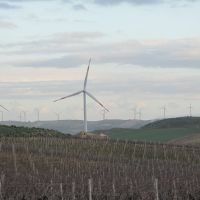 Moncada said he entered the sector in the late 1990s, eventually rolling out six wind farms, 10 solar parks and one solar panel factory amid the sloping vineyards and sleepy farmhouses of the Sicilian countryside. But as he attempted to sidestep a push by organized crime to control the renewables sector — eschewing efforts to use mob-connected developers and refusing to make a customary payments of 2 percent of profits — his business came under attack. In 2007, arsonists set fire to one of his wind farms, causing $4 million in damages. 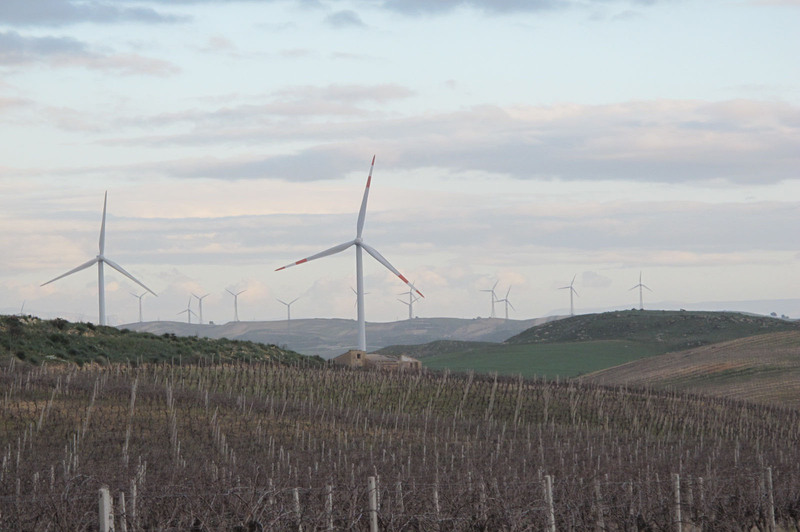 In 2009, the Terrasi crime family attempted to block one of his company’s new wind farms by claiming ownership rights to the land, eventually prompting 14 arrests and forcing Moncada and his family into two years of police protection. The difficulty of doing business in Sicily eventually led his company to focus overseas, with the company moving to invest in renewables in the United States, South America and North Africa. “It’s not only the criminal infiltration, but the corrupt bureaucracy that makes it difficult to do business here,” Moncada said. Indeed, the Mafia has targeted legitimate businesses in Sicily beyond renewable energy, with a 2008 probe revealing the island’s largest supermarket chain to be a front for Mafia cash. Raffaele Lombardo, Sicily’s former governor, stepped down last July after being charged with Mafia ties. His predecessor, Salvatore “Toto” Cuffaro, is serving a seven-year jail sentence after being convicted on organized crime charges. Citing its poor finances and a mountain of debt, the Italian government is now curbing new subsidies for renewable energies. A nationwide program has also been rolled out requiring developers to sign affidavits proving they have no links to organized crime. In Sicily, where a new anti-Mafia government came to power in November, construction of most new renewable projects has been stopped. The new government is seeking ways to ensure the Mafia is rooted out of the industry before allowing fresh projects to go forward.